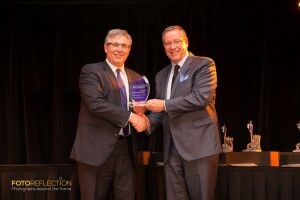 At the 2015 Burlington Business Awards Gala, Cogent Power Inc. received the Exporter of the Year Award. This award recognises the local company that has demonstrated strong growth in exports, and significant contributions to the local community through employment, community contributions and economic development. We have increased exports by almost 150% in the past two years, and have successfully become the largest supplier of transformer components in North America. The business has also become one of Burlington’s largest employers, taking an active role in community and economic development with local government and NGO agencies. 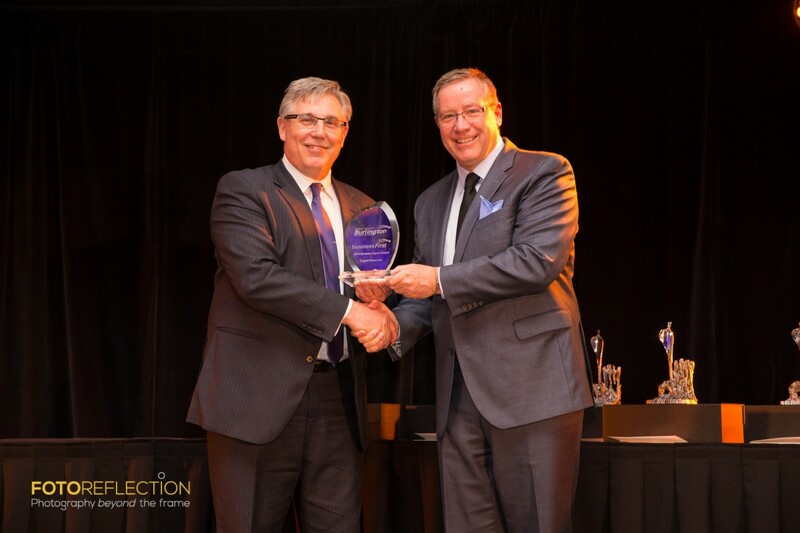 Cogent President Ron Harper received the award on behalf of the Cogent team, from BEDC Director Frank McKenna.